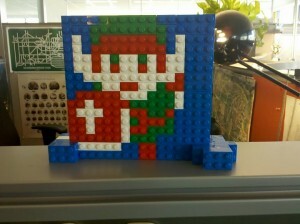 LEGO Link. The stand was the hardest part. The other day at work I was waiting for build after build and deployment after deployment and got a little bit bored, so I used some spare LEGOs to build this, a mosaic of the sprite from the original 8-bit Legend Of Zelda. Then I got back to work and MEGA-CODED. I swear I actually work at work. You use jQuery selectors to create lightboxes from links. It can display images, Flash video, and HTML 5 video. The plugin was written to make it easy to customize. You can also customize its behavior using callbacks and the plugin’s public methods. A tree near my family’s cabin on Lake Cushman. Two hippos, taken at the Woodland Park Zoo in Seattle. Some fog-covered cliffs, taken in North Bend. A long shot from the bleachers at Safeco Field. The online documentation has a lot more info, including an options reference and a description of the methods and callbacks Sanebox allows. It’s licensed under a Creative Commons license, so you can use it freely in your projects. The only hitch is that the Flash player is only licensed for non-commercial use. That means you have to use it non-commercially unless you also get a commercial license for the Flash player. This blog has gotten an upgraded theme, the same one that’s on my portfolio. Thanks to my lovely wife Carrie for taking my old site and making it shiny! I'm a transplant from Montana to the Seattle area. I work on the web, and I like writing code, recording and listening to music, and ranting about many things.